I went into Star Wars: Rebels with a cynical mindset. I was a huge Star Wars fan, and had loved The Clone Wars, but having seen some of the screenshots of the new show, it was clear that it was targeted more specifically at a younger audience. 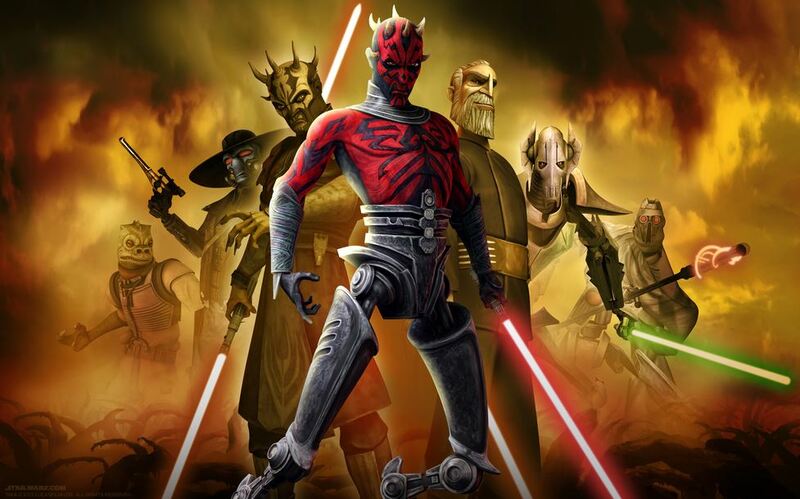 Whilst The Clone Wars was clearly intended for a younger audience, its complex themes and wartime setting made it enjoyable for a more mature audience as well. Rebels, on the other hand, is far more juvenile in its approach to the Star Wars universe. It features at its core a rag-tag team of dissidents out to make trouble for the Empire. Unlike the Jedi generals that gave The Clone Wars a more serious tone, this rebel group initially appeared to be far less mature. The main drawback for me when I first watched Rebels was its childish protagonist. Ezra Bridger is a naive and dimwitted boy who, by his own admission, only thinks about himself. His constant and overt attempts to try to chat-up one of the other core characters made the character seem a bit neanderthal-like. However, this turned out to be a minor inconvenience, as the character quickly grew once he began training in the ways of the force under Kanan Jarrus, one of the survivors of the Jedi Purge. Together with their crewmates aboard the starship, the Ghost, they execute a series of daring attacks on Imperial assets, in an attempt to spread insurrection against the Empire. This set of circumstances allows the series to show us at a more intimate level the struggle for freedom under Imperial rule. We are shown glimpses of Imperial propaganda tactics, such as Empire Day, as well as the bitter disdain that the people have for the ruling faction. One of the series’ major achievements is its use of a variety of very different characters. Unlike The Clone Wars, which seemed to consist of only wise old Jedi and reckless apprentices, each member of the Ghost has a distinct personality. The show also fleshes out some of the inner workings of the Empire. We are shown life inside an Imperial cadet training facility, and are introduced to two new and exciting villains: Agent Kallus, an agent tasked with stopping the rebel uprising; and the Inquisitor, a dark-side wielder who has specialised in hunting down the last of the Jedi Knights. We are also treated to a few guest appearances by existing Star Wars characters, including Bail Organa, Artoo and Threepio, and the old charmer Lando Calrissian. While most of these appearances are not essential to the overall plot, they are an interesting look into what these characters were doing at this point in the Star Wars timeline. Ultimately the series delivers on supplying a fun and action-packed show. While it does have moments that make me question if I’m too old for it, the series quickly matures into a compelling drama that is constantly rewarding. Here’s hoping series two is just as good. As somebody who is bitten by the Star Wars bug, Clone Wars has helped me outlet some of the fever. I had the impression going in that it was largely targeted at an immature audience but I found enough adult themes to make it worth some of my time. I’m glad to hear Rebels is continuing the trend, at least well enough to get you past the first season.